Although Jordan Murphy had a disappointing season-ending game last night against Rutgers in the Big Ten Tournament, the junior power forward is Minnesota’s most valuable player in 2018 and next fall will be regarded as a potential All-American. Murphy, who missed most of the first half because of foul trouble, scored 11 points and had nine rebounds in the Rutgers game. Murphy’s rebounds pushed his career total at Minnesota to 910, moving him into third place all-time behind Mychal Thompson’s 956 and Kevin McHale’s 950. The San Antonio native, who leads the nation’s Division I players in double-doubles, just missed picking up his 25th in 32 games last evening. He broke Thompson’s single season school record of 21 double-doubles, and he leads the Big Ten in rebounding with an average of 11.3 per game. Murphy, who tied Tim Duncan’s NCAA record streak of 17 double-doubles to begin a season, could move into second place in 2019 behind Thompson’s career points total of 1,992. Murphy has 1,282 career points. The only Gopher to start every game this season, the powerful 6-7, 250-pound Murphy was Minnesota’s leading rebounder and scorer (averaging 16.8 points per game). He was named to the media’s second team All-Big Ten group this week. The conference coaches put him on the third team. Murphy was a second team selection last year and is the first Gopher since Vincent Grier in 2006 to be All-Big Ten in consecutive years. Thompson, from 1976-78, was the last Minnesota player to be all-conference three consecutive seasons. Going into next fall Murphy’s name will be considered when preseason candidates for Big Ten Player of the Year are discussed. He will also receive attention regarding preseason All-America teams and will certainly be on the watch list for the Karl Malone Award honoring the nation’s best power forward. He is in the running for that award this season. That was former Gopher football player Lewis Garrison officiating last night’s Big Ten Tournament basketball game in New York between Illinois and Iowa. The Golden Gophers don’t have a single player at this week’s NFL Combine in Indianapolis but that’s likely to change in 2019. 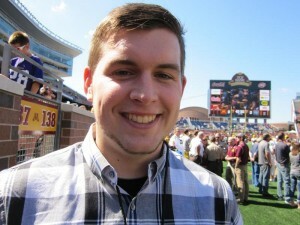 Ryan Burns, publisher of GopherIllustrated.com, told Sports Headliners he believes 2018 senior offensive tackle Donnell Greene could project as a third or fourth round pick in the 2019 NFL Draft. Burns said word is Greene and running back Rodney Smith, also a senior next fall, were informed by NFL sources if they declared for the 2018 draft they projected as late picks. Smith could have a third consecutive season of rushing for more than 950 yards next fall and enhance his positioning in the 2019 draft. Smith’s three-year partner at running back, Shannon Brooks, and senior placekicker Emmit Carpenter, might also be at the Combine a year from now. Brooks is an elusive runner who has made touchdowns runs of 37 yards or more five times in his Minnesota career. 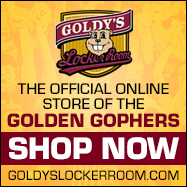 Carpenter, at 81.8 percent, has the best field goal conversion percentage in Gopher history and is a former Big Ten Kicker of the Year. Former Gopher assistant coach and captain Grant Potulny has his Northern Michigan team seeded No. 2 in the WCHA playoffs that begin Friday. In his first season as head coach the Wildcats have won 21 games, the most since 2006. Potulny was named Northern Michigan’s head coach in April of last year. At 21-12-3 overall, the Wildcats have won 20 games for the first time since 2010. Potulny, who was an assistant at Minnesota for eight seasons, has long been known as a leader. He was a three-time captain of the Gophers during his career from 2000-2004. During that period the Gophers won two national titles. If and when the Gophers head coaching job opens up, Potulny’s name could prompt consideration. Don Lucia is finishing his 19th season as head coach and the University of Minnesota athletic department hasn’t made a long-term contractual commitment to him. Lucia’s current contract has one more season and athletic director Mark Coyle will need to make decisions soon. Lucia has made it known in the past that operating on a soon-to-expire contract is a detriment to recruiting. Potulny’s Wildcats are scheduled at home Friday, Saturday and Sunday in WCHA men’s quarterfinals playoff games against Alabama-Huntsville, 11-21-2, and the No. 6 seed. The No. 1 tourney seed is Minnesota State. This weekend’s Big Ten Tournament men’s hockey quarterfinal series between Minnesota and Penn State in University Park, Pennsylvania, will be broadcast live on Fox Sports North channels, and streamed on BTN2Go and Fox Sports Go. The best-of-three series starts Friday and will be televised by Fox Sports North Plus, with Saturday’s game on Fox Sports North. If necessary, the deciding game will be Sunday and aired on Fox Sports North. All three games will be played at 6 p.m. Central Time. This is the first year since the inception of Big Ten hockey in 2013-2014 that the Gophers haven’t been regular season conference champions. A 10-12-2 record this winter placed the Gophers fifth in the league standings behind Notre Dame, Ohio State, Michigan and Penn State. Jake Odorizzi, the recently acquired right-hander expected to be an impact starter for the Twins, makes his debut with Minnesota Friday when he starts a spring training afternoon game against the Blue Jays. The game won’t be televised in Minneapolis-St. Paul. It looks like DH-first baseman Kennys Vargas, who in three major league seasons with the Twins hasn’t established himself as a regular, is the odd man out with the recent acquisition of free agent Logan Morrison who fills the same role. Both Vargas and the Twins likely would welcome a trade. The February 26 issue of Sports Illustrated ranks the top 100 baseball players in the majors and the list starts with Angels’ superstar Mike Trout, and includes three Twins: No. 41 Brian Dozier, No. 68 Byron Buxton and No. 78 Ervin Santana. Noticeably missing: Twins slugger Miguel Sano who had a controversial 2017 on and off the field. The Gophers’ Hugh McCutcheon, whose volleyball coaching resume includes the Olympics, speaks to the CORES lunch group March 8 at the Knights of Columbus Hall in Bloomington, 1114 American Blvd. 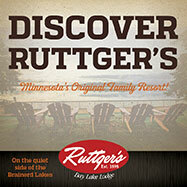 Reservations are needed by March 5. More information is available by contacting Jim Dotseth, dotsethj@comcast.net. CORES is an acronym for coaches, officials, reporters, educators and sports fans.